PENSACOLA, Fla. (AP) — The Coast Guard cutter Cypress is decked out for Halloween — and the public was welcomed aboard last weekend for a holiday-theme tour. The crew of the 225-foot ship went all out in decorating the vessel as a haunted ship. The ship was open for tours starting Oct. 26. 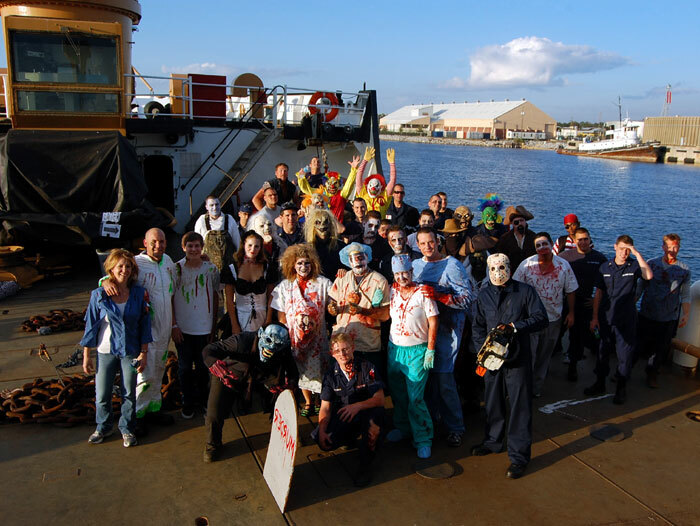 Last year, more than 2,200 people visited the ship during the Halloween tours. The Pensacola News Journal reported that the tours were free, but the crew encouraged visitors to bring cans of non-perishable food to donate to a local food pantry. The ship’s decorations featured a giant spider climbing up the hull, a grim reaper on the deck and knife-carrying clowns in the narrow halls.